One of Horbury's past industry giants was Arthur Horsfield (pictured left), who at one time owned the Iron and Steel Works at Horbury Junction. Arthur Horsfield was born on the 4th October 1854, to parents James Wood Horsfield and Jane Eliza (nee Whitehead). He was baptised at Dewsbury Wesleyan Methodist Chapel on the 23rd November 1854. James Horsfield was a master boiler maker in business with his brother Joseph, employing 39 men and 11 boys, according to the 1861 census. The census also records the family's address as Vulcan Street, Dewsbury, next door to brother Joseph Horsfield. By 1861, Arthur was one of eight children; Whitehead 23, Ann E 19, Hannah 16, Charles 14, Betsy 12, James 9, Arthur 6 and Sarah aged 4. By the 1871 census the family had moved to Park Villa, Dewsbury. James Horsfield is now recorded as an iron founder, as are his two sons Charles 24 and Arthur 17. On the 31st July 1879, Arthur Horsfield married Hannah Baines, the daughter of Horbury manufacturer and mill owner Edward Baines. The census of 1881 shows the couple have their first child, 9 month-old Edward Baines Horsfield. Their address is Spinkwell House, Jenkin Road, Horbury. This was also the address of Hannah's father and the Baines family, although they are recorded as two separate households. The 1891 census shows a move to High Bank, Tithe Barn Street. Arthur and Hannah have two more children: Gertrude 8 and Annie 6. Arthur is now the general manager of the ironworks. Above Left: High Bank, Tithe Barne Street and Right: Spinkwell House, Jenkin Lane. The 1901 census reveals Hannah's brother Joseph E. Baines, now manager of the family worsted and woollen spinning company, has moved in next door at Frampton Villa, Tithe Barn Street. In fact, a lot of the Baines family live on Tithe Barn Street in 1901. Edwin, another of Hannah's brothers and his family live towards Westfield Road and Harriet, Hannah's widowed mother lives two houses away towards Northgate at Croft House. Arthur is now recorded as managing director of the iron works. Above Left: Alfred Davis, Arthur Horsfield and his brother-in-law Joseph Baines of Croft House, Horbury. 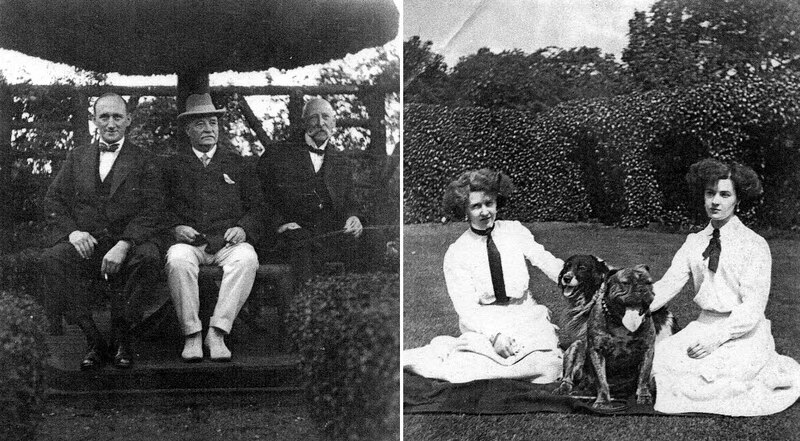 Right: Gertude and Annie Horsfield with their pet dogs Peter and Bruce. Photographs courtesy of Vida Woodward, grand-daughter of Arthur Horsfield and Darlene Cunningham, the owner of 'Croft House', Horbury, once owned by the Horsfield family. The last available census in 1911, shows the Horsfields still at High Bank, which is a 9 room property. Edward Baines Horsfield is assistant manager to his father at the iron and steel works. All three of the Horsfield children are still living at home. Arthur and Hannah have been married for 31 years. 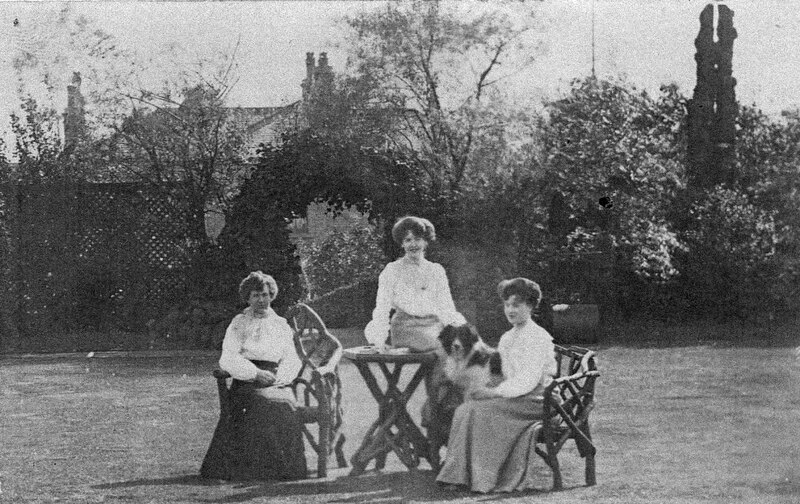 Above: Hannah Horsfield with daughters Gertrude and Annie in the garden at 'High Bank', Tithe Barn Street, Horbury. Photograph courtesy of Vida Woodward, grand-daughter of Arthur Horsfield and Darlene Cunningham, the owner of 'Croft House', Horbury, once owned by the Horsfield family. Above: The well manicured gardens at 'High Bank', the Horsfield home for many years. Photograph courtesy of Vida Woodward, grand-daughter of Arthur Horsfield and Darlene Cunningham, the owner of 'Croft House', Horbury, once owned by the Horsfield family. 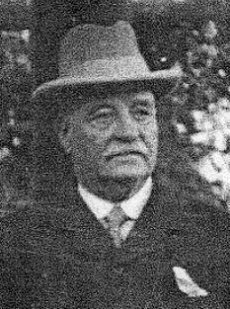 After the death of Rowland Roberts in 1895, Arthur Horsfield became the chairman and managing director of Charles Roberts Wagon Works, located adjacent to the ironworks, suggesting there was a certain amount of synergy between the two businesses. Arthur Horsfield was followed in 1939, by Duncan Bailey, O.B.E. who was also chairman and managing director. Gertrude Horsfield married engineering manager Alfred Davis at St Peter's Church, Horbury on the 2nd August 1916, when she was 33 years old. Edward Baines Horsfield married Florence Brandrick in Manchester in 1918. Annie remained single. 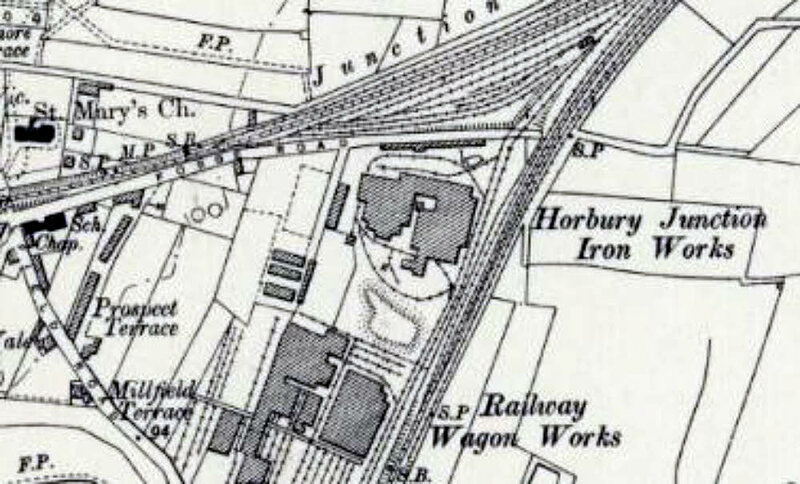 The Horbury Iron and Steel works were taken over by Charles Roberts Ltd. in 1923 after going into liquidation. Hannah Horsfield died in 1922 age 67. She was buried at Horbury Cemetery on 6th June. Arthur died 6 years later on the 24th April 1928. 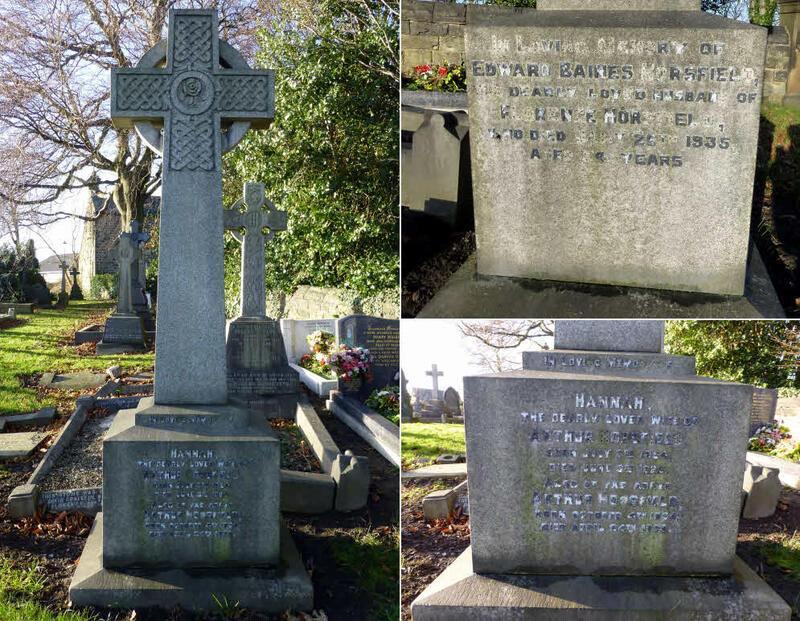 Edward Baines Horsfield died in 1935 and was buried with his parents at Horbury on 29th January. Above: The graves of the Horsfield family in Horbury Cemetery. In 1970, during work at the rear of High Bank, Tithe Barn Street, some ornamental brick arches were demolished and workmen found a bottle embedded in the brickwork. Inside, were two copies of the "Yorkshire Evening Post", dated 23rd February and the 29th March 1900, as well as a letter. The letter said that the archways had been built by Mr Arthur Horsfield in memory of “the gallant defence of Mafeking, Kimberley & Ladysmith in the South African War”. The workmen who constructed the arches were from Henry Fallas and sons, J.G. Oldroyd and Joe Fallas, bricklayers plus G. Wade, labourer.